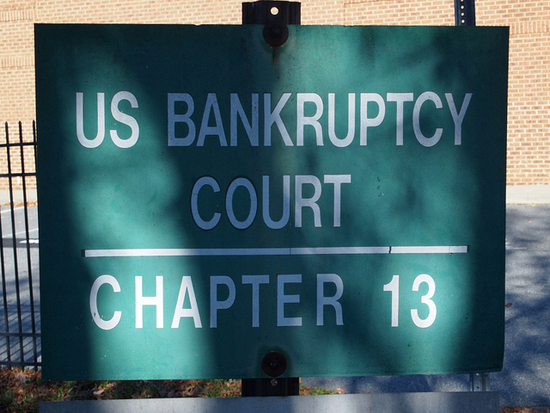 Chapter 13 bankruptcy is one of several options for clients facing financial distress. Chapter 13 is a much longer process than the more common Chapter 7 bankruptcy filing. Chapter 13 is for clients who have enough income to pay their debts, just not as quickly as their creditors want. Chapter 13 clients generally have higher income than Chapter 7 clients, and do not qualify for Chapter 7 protections. Chapter 13 is more for people who have switched jobs and had a pay cut, people who get divorced and go from a two- to one-income household. Chapter 13 stops car repossession or foreclosures from happening the next day. Chapter 13 essentially bundles all of the client’s debts into a single “bundle,” allowing them to make a single payment to the bankruptcy trustee. The trustee then disburses funds from that payment to the various creditors. She said home mortgages are often not included in the payment; debtors continue making those payments as normal. Individual Chapter 13 bankruptcy clients must have no more than $394,725 in unsecured debt, including credit cards bills or personal loans. They also can have no more than $1,184,200 in secured debts, including car loans and home mortgages. Filing a Chapter 13 petition suspends foreclosure proceedings in progress, letting you keep your home. Chapter 13 bankruptcies take much longer than a Chapter 7 to complete, as instead of asset liquidation the client enters into a negotiated payment plan. The debtor and their attorney devise a payment plan which is then approved by the court. The process begins, much like a Chapter 7 bankruptcy, by speaking with a bankruptcy attorney at Allen Stewart, P.C. The client brings financial information including tax returns, bank statements and more. The client sits down with their attorney and together they develop a repayment plan they will present to the bankruptcy court. The client completes an online credit counseling course, and once the client pays all applicable fees the attorney files the bankruptcy with the court. Within 30 days of filing the bankruptcy the client must start making payments on the repayment plan. Unlike Chapter 7 bankruptcies which complete within months, Chapter 13 bankruptcies discharge within three to five years. Each bankruptcy case varies depending on the circumstances leading up to them, and you deserve an attorney with the skills and experience to find the best resolution for you. Contact Allen Stewart, P.C. and find your path back to financial health today.